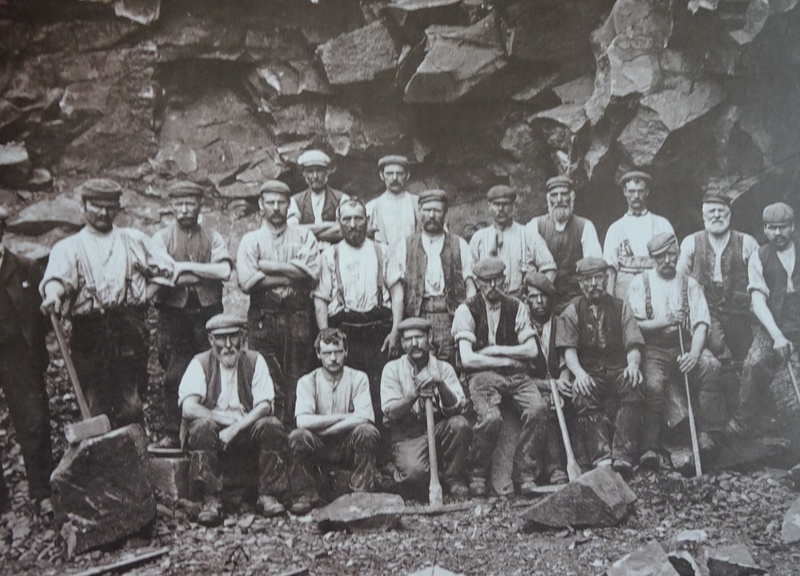 Ironstone quarrying is hard work and these grafters gather for a breather and a photograph at Whinstone quarry in Rosedale. Stone merchant William Berriman and Ironstone miner John Berriman plus Robert and Joseph are all recorded in the census from 1851 as living in Cropton a local village. In the nineteenth century the population in the area increased four fold over less than 20 years. If you walk on the moors above Rosedale the track you follow forms part of the valley’s industrial heritage. The old railway line for Rosedale’s nineteenth-century ironstone mines is now a cinder track. “Rosedale’s Mineral Railway” closed in 1929 and now only runs ghost trains at Halloween. Other relics are the roasting kilns where quantities of ore were tipped into the kilns from the railway line above them. The ore was mixed with coal and set alight. The process was known as calcination and the idea was to purify the iron, and reduce its weight, before it was carried by railway over the moors to the industries in the Northeast. Blakey Inn, now better known as The Lion Inn on Blakey Ridge above Farndale and Rosedale is a popular location for a well earned drink for both travelers and walkers. The sculptor, Vivien Mousdell, worked with the children of Rosedale Abbey primary school to create ‘Set in Stone’, with two planks carefully set into a carved boulder. There is a poem inscribed into the edges of the planks and images carved into the boulder that reflect the ironstone mining heritage of the area.